An easy-to-grasp guide to addressing the principles of ethics and applying them to daily life How do you define "good" versus "evil?" Do you know the difference between moral "truth" and moral relativity? 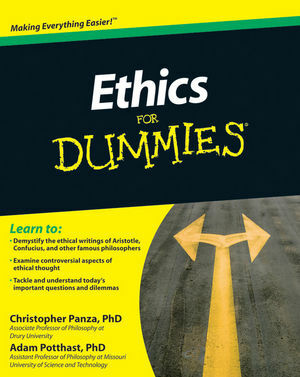 Whether or not you know Aristotle from Hume, Ethics For Dummies will get you comfortable with the centuries-old study of ethical philosophy quickly and effectively! 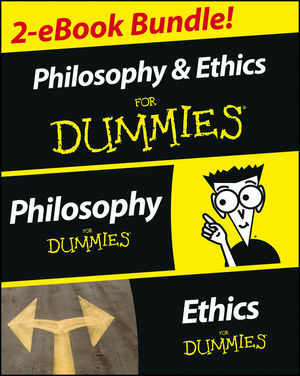 Ethics For Dummies is a practical, friendly guide that takes the headache out of the often-confusing subject of ethics. In plain English, it examines the controversial facets of ethical thought, explores the problem of evil, demystifies the writings and theories of such great thinkers through the ages as Aristotle, Confucius, Descartes, Kant, Nietzsche, and so much more. 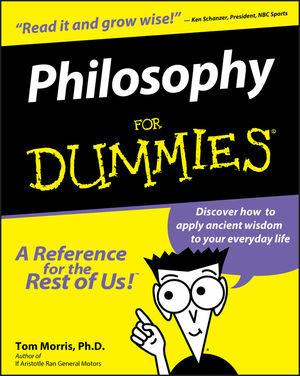 You’ll learn how to apply the concepts and theories of ethical philosophy to your everyday life. Whether you're currently enrolled in an ethics course or are interested in living a good life but are vexed with ethical complexities, Ethics For Dummies has you covered! Tom Morris, Ph.D., author of True Success and other books, taught philosophy at Notre Dame University for 15 years and currently heads the Morris Institute for Human Values. Christopher Panza, PhD, is an associate professor of philosophy at Drury University and coauthor of Existentialism For Dummies. Adam Potthast, PhD, is an assistant professor of philosophy at Missouri University of Science and Technology. Christopher Panza, PhD, is an associate professor of philosophy at Drury University and coauthor of Existentialism For Dummies. Adam Potthast, PhD, is an assistant professor of philosophy at Missouri University of Science and Technology.